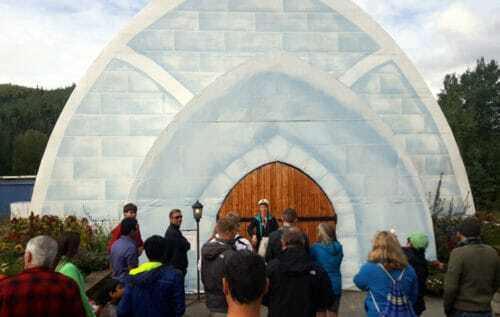 If Seward is included in your Alaska itinerary – and it should be! – you’re probably wondering where’s the best place to stay in this small town. With rates being so high in season – is it really important to stay close to the town center, or maybe you can rent a place further away? I was wondering the same thing myself before we visited the area. Armed with our own experience, I’m here today to help you make the best decision regarding your reservations in Seward. If you’re taking the train from Anchorage to Seward and will be staying in town without a car, it’s important to take a room within walking distance from the harbor. 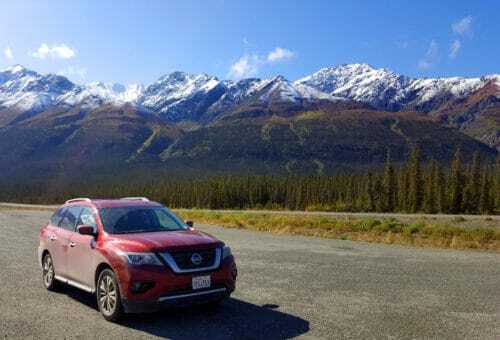 If you’re driving your own car, you can be more flexible and save quite a bit of money on your hotel reservation for Seward. 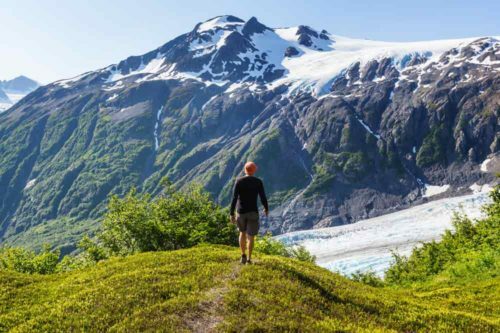 For many travelers, a trip to Alaska is a once-in-a-lifetime experience. I can totally relate to wanting to get it “just right” and plan ahead. And when it comes to finding accommodation, planning and booking your stay as soon as you can is crucial. One of the most important budgeting tips I offer in the post about the cost of a trip to Alaska is to make your reservations in advance. A very long while in advance. I’m talking about a year ahead of time – basically, as soon as your dates are available to be booked. 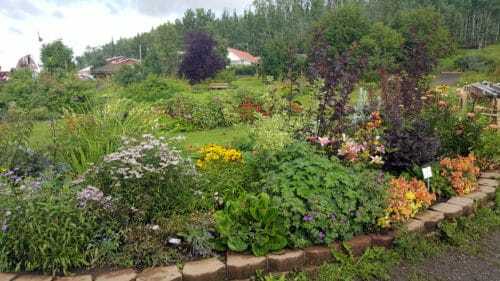 For us, that literally made the difference between canceling a trip to Alaska in 2013 – when I tried to make reservations “just” three months before the trip – and actually moving ahead with our 2017 Alaska trip. Seward is a spectacular destination. 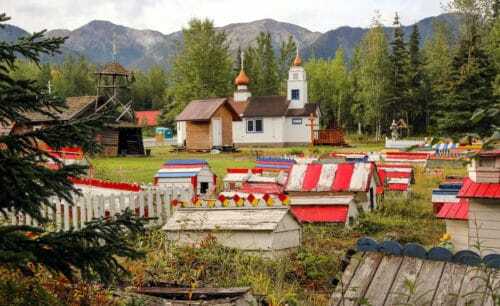 An extremely scenic route takes you there from Anchorage – in under an hour. 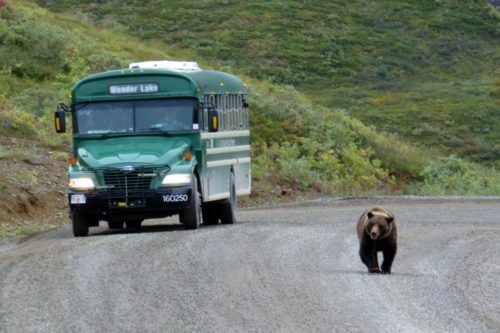 Once there, you’re basically in the Kenai Fjords National Park. The highlight of your visit to Seward is likely to be a cruise to view the park from the ocean. 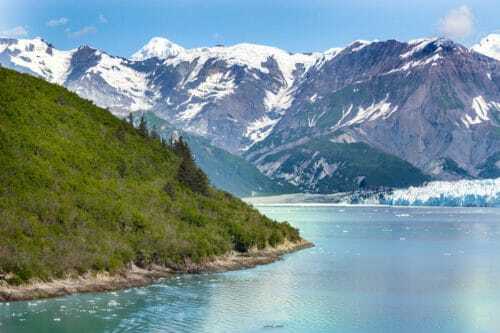 In fact, many people arrive from Anchorage via train to take the cruise – and return to Anchorage the following day, or even on the same day (depending on the length of the cruise). Seward is worth a lengthier stay though. We spent a total of three days there – and never got bored. You can read here all about the fantastic things to do in Seward, so I won’t get into that list right now. I’m just saying – if you can, try to spend at least 2 days in Seward. Which means staying overnight – in other words, finding accommodation! Here’s what you need to know in order to find the best possible place (I’ll offer concrete suggestions further down this post). The walk from one end of the harbor to where the Alaska SeaLife Center is – pretty much the center points of town – is about 2 miles long. You could walk the distance in 40 minutes, or drive it in 5 minutes. We’ve already established this is a great place to visit. Apparently, that’s common knowledge, shared by cruise operators and travelers alike. For cruise ships, Seward makes a great final destination, as it’s only an hour’s drive from the town into Anchorage. There’s even a train line connecting the two. Many people arrive at Seward, spending 1-2 days there before taking the train to Anchorage. It means accommodation is in high demand and prices go up. What’s more, last-minute accommodation is not always available. And if it is, the price can go through the roof. As you drive from Anchorage to Seward, the gorgeous Seward Highway takes a turn to the left at an area called Moose Pass. If you turn right, you continue along the Sterling Highway to Homer. Turning left takes you to Seward, but the road is now called Highway 9. 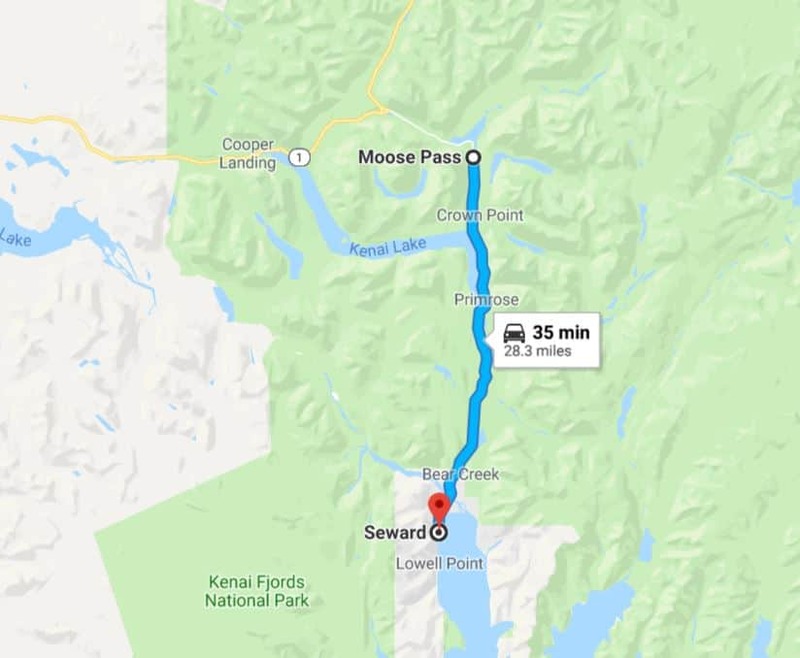 From Moose Pass, you still have about half an hour of driving time until you reach Seward itself. Along that section of the road, there are quite a lot of houses, some of them offering accommodation as well. 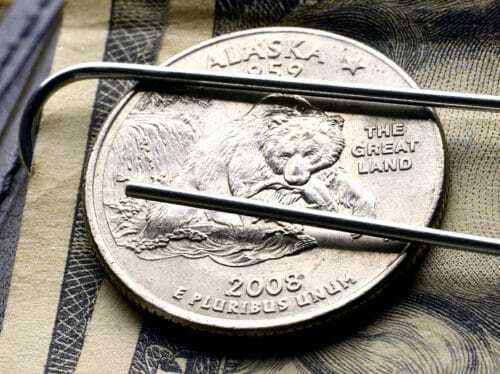 Naturally, the closer to Seward you get, the higher the price. They are all viable options though, so keep them in mind too. Now that you know what’s where – let’s talk about specific places to stay in Seward. You’ll now understand why I’ve divided this post into places to stay in town and places to stay north of Seward. The links to the hotels will take you to Booking.com. It’s where I make our own reservations – and where I made the ones for our Alaska trip. If you make yours after clicking these links, I’ll get a small commission – at no added cost to you – so thank you in advance! 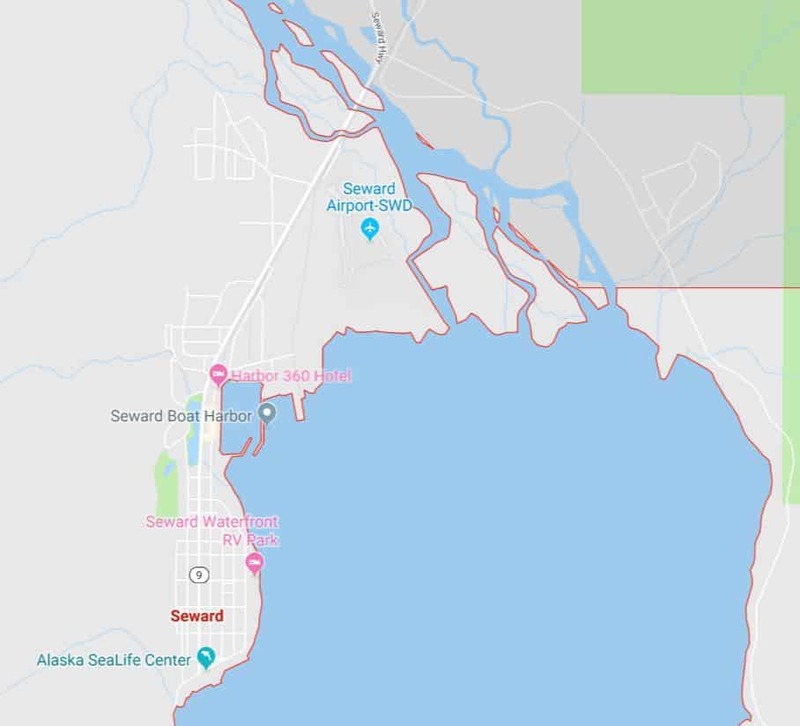 As mentioned already, Seward is a small town, and the main places to stay are near the harbor, closer to downtown or north of town. The following section gives you the options closest to the harbor while still providing access to downtown amenities within walking distance or a short drive. Staying in town is likely to be the more expensive option but it’s the only viable option if you’re relying on public transportation, or if you prefer to avoid the drive along Highway 9. You can’t get any closer to the harbor than this location. It is directly on the water, and you can even book harbor tours and bay cruises there, and then depart from the dock right behind the hotel! In fact, when we took our cruise of the Kenai Fjords National Park, the boat left from right outside this hotel. We were asked to wait in the hotel lounge until our boat arrived and was ready for passengers to embark. Many of the bay-facing rooms have patios or balconies, and the hotel features amenities like an indoor pool and spa, inclusive continental breakfast, and laundry facilities. A lot of the main activities in Seward are within a 30-minute walk. The price is on the higher end for the hotels in the area, but with the convenient access to harbor tours and cruise ships could be worth it if that is your primary purpose for visiting. Get more info about this hotel here. If you’re looking for a place to stay with diverse amenities, this bed and breakfast is about a 15-minute walk from the harbor tours but has better access to historic downtown. You can have breakfast delivered to your room, which also has a refrigerator, coffee maker, and microwave. The food is served on handmade stained-glass dishes, which they make on site (and also sell if you want to take some home). And besides stained-glass, you can also take classes in jewelry making, dance, and drumming on site, as well as get tips on wildlife tours from the host, who is a professional wildlife biologist. 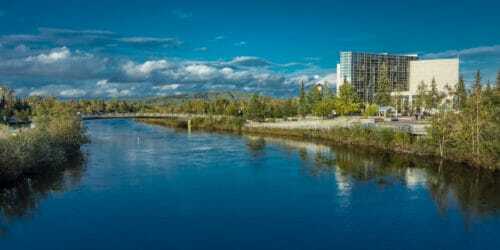 The water is just a block or two away, and within ten minutes you can reach a walking trail and the Alaska SeaLife Center. The price is comparable to Harbor 360 Hotel. Find out more about this B&B. These colorful apartments lean toward the vintage side but still comes with free WiFi. One visitor mentioned, “it feels like you are staying at your grandmother’s house.” The units are also appointed with full kitchens and private baths. Instructions are emailed to guests for self-check-in, as there is no staff on-site. The location is close to the waterfront, downtown shops, and restaurants. If you didn’t bring your own vehicle, you could use the free shuttle to visit the harbor or downtown. Check availability for these apartments. The Vue has easy access to Highway 9, which runs through town. Its light and airy rooms are modern and clean, and each comes with a private bathroom with bathtub. In an interesting twist on a B&B, The Vue has a communal kitchen with all the supplies to cook your own continental breakfast. At some times of the year, you can have a cooked-to-order breakfast for an additional fee. Many guests commented enjoying cooking their own food and the flexibility it provided and enjoyed their comfortable rooms as well. If you’re traveling with a large party and want all the comforts of home, then this townhouse is a good option. It sits on the water, where you can lounge on the private deck or take a soak in the hot tub. This is private rental property, so you get the whole 2300 square-foot apartment to yourself when you book. The 3-bedroom, 3.5-bath home provides sleeping for up to 10 people. It boasts a full kitchen and a large living and dining area with all the amenities you’d expect from a home. 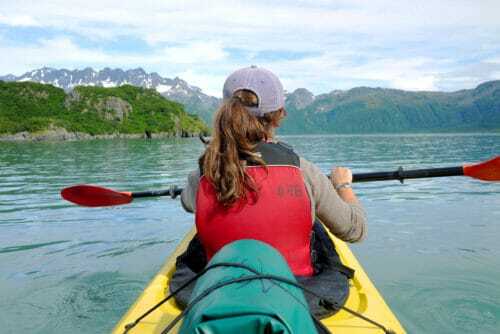 You can easily walk to the waterfront, Seward Museum, and kayak rentals from this location. Of course, the price is commensurate with the amenities. But it isn’t much more than the cost of about three hotel rooms and allows for the space and privacy of a home. Click here for pictures of this beautiful townhouse. This historic hotel was built in 1905 but has seen many upgrades since then. It’s right in the downtown area, with shopping and restaurants within a few blocks. 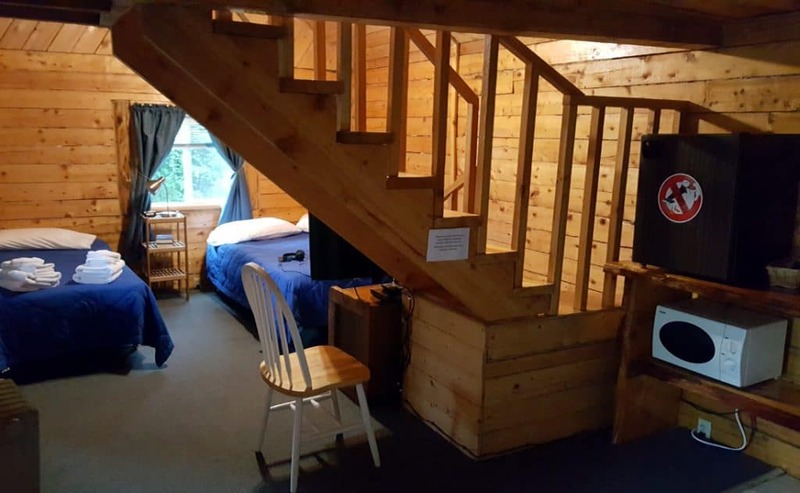 Depending on your tastes, you can stay in the Historic Wing (no elevator), the Alaskan Wing (renovated and does have an elevator), or the 2-bedroom Cabin on the Cliff, which is out of town and overlooking Resurrection Bay. If you opt for a European-style room with a shared bathroom, the price is very reasonable, with prices going up from there, so you have several options. Visit the booking.com page for room prices. This modern hotel with rustic touches in on the northern end of town away from the harbor. As with similar Best Western properties, this location has a continental breakfast, laundry room, and many options as far as room size and amenities. Several rooms offer balconies with views of either the bay or mountains. All come with a microwave and mini-fridge. There aren’t a lot of other amenities at this hotel, and the prices are on the higher end. But if you are more comfortable with a hotel that is part of a chain, then this is a good option. Look at pricing and availability at this location. If you travel north of the harbor area along Highway 9, there are more remote areas of Seward. These properties are good options if you prefer to visit the hustle and bustle of downtown by car and then go home to peace in the evening. Just a 1/2 mile north of the Harbor 360 Hotel, you can find this bed and breakfast. Each room has its own bathroom, a kitchenette, and access to WiFi. It’s about 10 to 20 minutes’ walking distance away from the harbor cruises, and it is on the pricier side. However, visitors rave about the spacious, comfortable rooms and how helpful and friendly the hosts are, and there are still some mountain and water views. Click to get more details about this property. 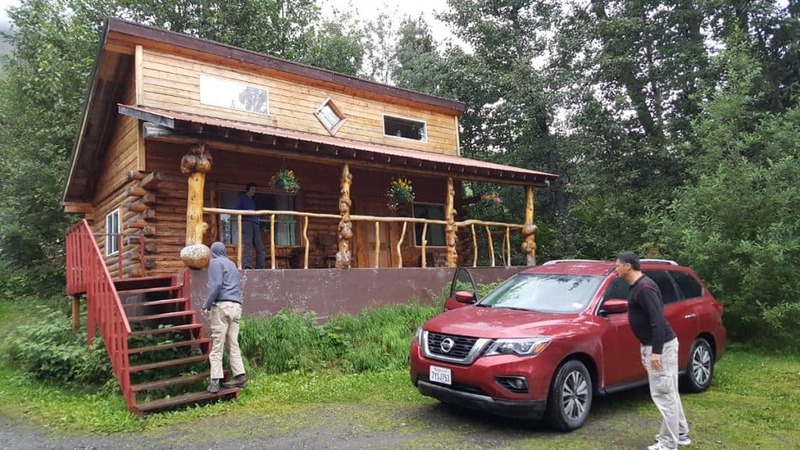 This lodge sits on the Resurrection River and is only about a five minutes’ drive from the harbor. Each room has an exterior entrance, and there are two restaurants on the property that are open all day, a fireplace lounge and a large deck. You could get away with not driving if you stay here, because they have a free shuttle to and from the train depot, downtown, and the harbor. The property also has plenty of mountain and forest views. Several guests did comment that both the rooms and restaurant are pricey. Check availability at Seward Windsong. This B&B is only about a 5-minute drive from the harbor and 10 minutes from downtown but in peaceful, woodsy surroundings with a stream running behind the property. You can make coffee and breakfast in your room. Many rooms have a balcony and garden view, and all come with access to a barbeque and outdoor seating. Keep in mind that the rooms do not have televisions, but free WiFi is available. See more info about Steller Inn. If you’re ok with a 20-minute drive to the harbor, you can stay at Bear Lake and use a canoe or kayak on the property. Guests are very complimentary of the breakfasts and hand-dipped ice creams, plus the campfire for roasting hot dogs. The owners seem to go above and beyond, providing many complimentary items, like walking sticks and bug spray for taking hikes. They also offer discounts on some sightseeing tours. Because this property is outside of city limits, there is an 8% discount on taxes for the rooms. 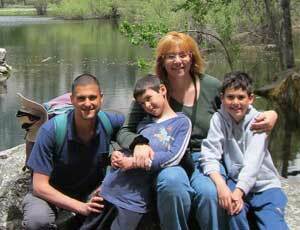 Learn more about Bear Lake Lodgings. A cabin in the woods seems a fitting place to stay when visiting Seward. The fully-furnished, freestanding cabins range from about 250 square feet to 850 square feet and include bathrooms, kitchens, and supplies to make breakfast. There is plenty of room outdoors for barbequing and sitting by the fire pit. It’s very close to hiking trails while still only about 10 minutes from the harbor. See pictures of the cabins. I hope you found this list helpful for finding a place to stay in Seward. Let me know where you end up and how you like Seward when you go to visit! This isn’t necessarily a great option for everyone, but it worked well for us, so worth a mention here. We stayed at this place and while we had to drive into town every day, the place itself was spacious and very well-priced which suited us perfectly! The owners have several lovely cabins on their property here. We chose one with an upstairs loft where our boys had their beds. 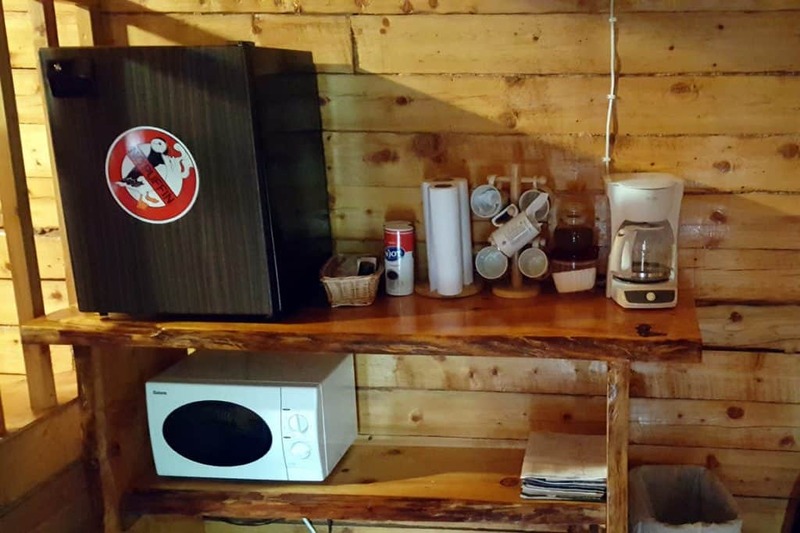 The cabin had a small kitchenette with a microwave and coffee/tea making facilities. The design is very rustic and very “Alaska”! There’s heating, electricity, hot water and Wi-Fi, so the experience wasn’t rustic in itself – just the design. Breakfast was served every morning in the owner’s home, next to the cabin. That was quite an experience in its own right. The owners were very friendly, breakfast was great and we got to share it with other travelers – which is always nice! I hope you found this post helpful! 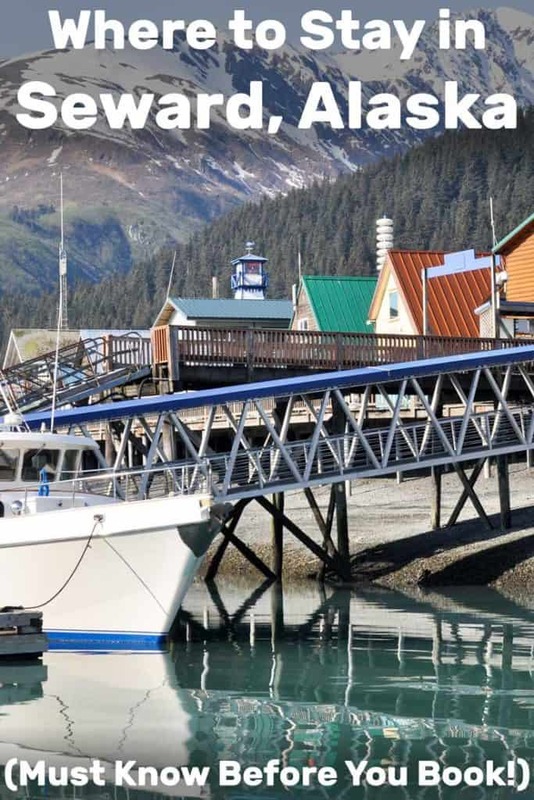 If you have any questions about accommodation in Seward or anything else relating to travel in Alaska, leave me a comment – I love getting those!